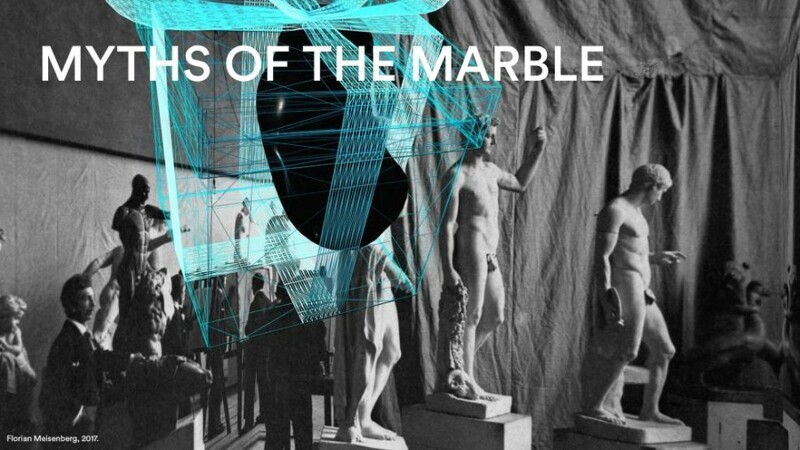 The Institute of Contemporary Art presents Myths of the Marble, a group exhibition conceived and produced in collaboration with the Henie Onstad Kunstsenter (HOK) in Norway. The exhibition, co-organized by Alex Klein, Dorothy and Stephen R. Weber (CHE’60) Curator, ICA, and Milena Høgsberg, Senior Curator, HOK, considers how the “virtual” has been engaged by a select and varied group of contemporary artists as a way to image and imagine the world as both a site of possibility and as a set of limitations. These ideas are explored through a wide range of mediums from painting, sculpture, and installation to video, 16mm film, and VR-technology by an international group of artists: Rachel De Joode, Cayetano Ferrer, Ane Graff, Ignas Krunglevičius, Chris Marker, Daria Martin, Florian Meisenberg, Shahryar Nashat, Sondra Perry, Jacolby Satterwhite, and Susanne M. Winterling. ICA and HOK have co-commissioned seven new works, and will also co-produce a fully illustrated catalogue published by Sternberg Press with contributions by scholars Tom Holert and Homay King in June 2017.